Since producing their first cider, Gold Top, in 2012, Austin Eastciders has continued to shake up the cider industry moving the mainstream away from traditional sugary ciders and into the arms of more sessionable ciders with less sugar and more flavor. 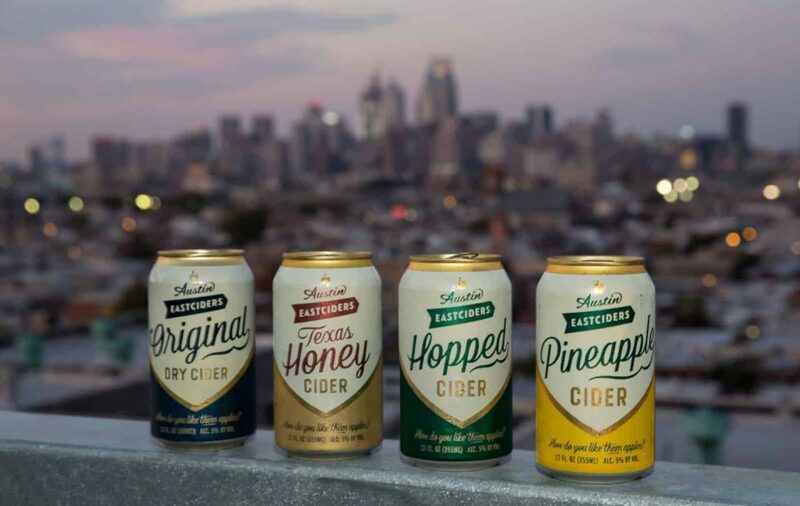 Crafted with only the best ingredients like Texas honey, real hop flowers, real pineapple, real blood orange juice, and never any artificial flavors, Austin Eastciders produces perfectly balanced ciders with complex flavor profiles and two-thirds less sugar than the majority of ciders available on the market today. To ensure maximum flavor preservation, the Austin Eastciders process begins with cider apple juice concentrate made from fresh cider apples rich in tannins pressed at the source in Europe. Upon arriving at the Austin Eastciders cidery in Southeast Austin, white wine yeast is added to the concentrate prior to the fermentation process yielding in a fresh, sparkly, and effervescent cider that is unique to Austin Eastciders. Because they are more like a sparkling white wine than a sugary apple juice, Austin Eastciders will be enjoyed by beer, wine, and cider drinkers alike with refreshing flavors like Original Dry, Texas Brut, Blood Orange, and Ruby Red Grapefruit available in 12oz cans in either 4 or 6-packs. Now everyone can enjoy cider. For more information on Austin Eastciders, click here.